Prime Minister Peter O’Neill and his Agriculture Minister, Benny Allen, have promised to boost access to credit for agricultural projects, develop import substitution and strengthen agricultural institutions. They were addressing the country’s inaugural National Agriculture Summit in Port Moresby this week. 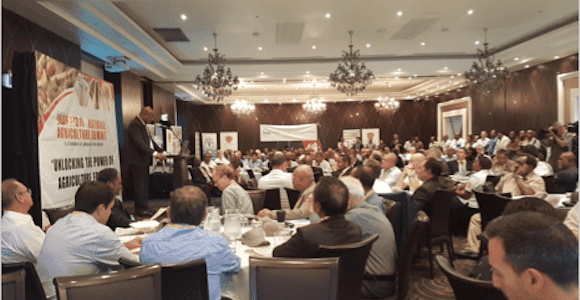 The PNG economy has been through boom and bust cycles over the years, largely because the successive governments have depended on one sector of the economy, the resources sector, Prime Minister Peter O’Neill told the conference. ‘When the commodity prices for copper, oil, gold and gas go down, our economy takes a huge dive. Agriculture is PNG’s biggest employer. O’Neill noted that the agriculture sector is the biggest employer of Papua New Guineans. It is also the second biggest foreign exchange earner ‘yet we have not been giving it the attention it deserves’. The country was ‘overly dependent on imports,’ O’Neill added. ‘We need to have import replacement programs and that is why I am encouraged by the private sector partners who are here today starting to invest in our agricultural sector’s different crops. ‘What investors need from us, landowners, is security of their investment. Agriculture is not simply an industry. O’Neill said landowners need to be partners, so that they take ownership of the projects on their land. He said before the forthcoming National Budget announcement, he would announce measures to strengthen the agriculture and SME sectors by increasing access to long-term credit. O’Neill also said over the next few years, the government would put aside special funds to allow the government to become equity partners in agricultural projects. 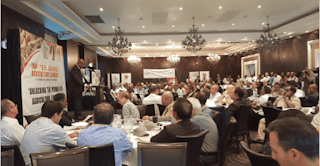 He said next year the government would be trialling a proposed National Plantation Management Agency which would help Papua New Guineans with support services such as book keeping, banking, sales and marketing. Agriculture Minister Benny Allen said the government, and his department, would change the way they worked, with the aim of making the local agriculture industry ‘world class and highly competitive’ and the people involved ‘self-sustaining and prosperous’. Promising a ‘collaborative approach with the private sector’, Allen said he wanted to see an increase in export and domestic production, higher revenues and investments, and an increase in the number of SMEs and large scale businesses.